UTM variables are qualifiers you can add to the end of a URL to help you track where traffic to a page is coming from. UTM stands for "Urchin Traffic Monitor" and is meant to create the most accurate measurements of unique website visitors. These variables make it easier for Viralstyle analytics to store the source data. In Viralstyle; for example, this information appears in the reports under “UTM Variable Tracking” in your individual campaign dashboard. The basic structure is a standard URL followed by a question mark and the UTM variables. Each UTM variable provides a unique trait of the source traffic. UTM_Term = A UTM Term tag is used for search campaigns and tells you what keywords were used. You do not need to use every UTM variable, just the ones that will help you differentiate your traffic streams. Viralstyle has a URL builder built into the dashboard. Click the options tab ••• to the right of the campaign in question. Then, click the "marketing" button to select the URL Builder tab. As seen in the image above, you can use the URL builder to create UTM variables and the URL will be automatically generated for you. 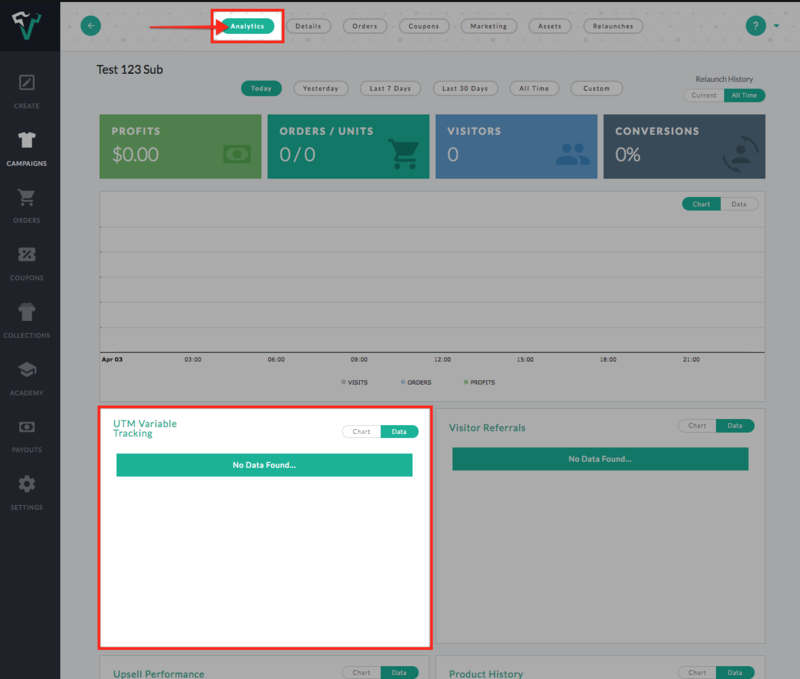 You can track URL variables on your campaign dashboard under “UTM Variable Tracking”.